The Siege of Belgrade (or Battle of Belgrade, or Siege of Nándorfehérvár) occurred from July 4 to July 22, 1456. After the fall of Constantinople in 1453, the Ottoman sultan Mehmed II was rallying his resources in order to subjugate the Kingdom of Hungary. His immediate objective was the border fort of the town of Belgrade (in old Hungarian Nándorfehérvár). 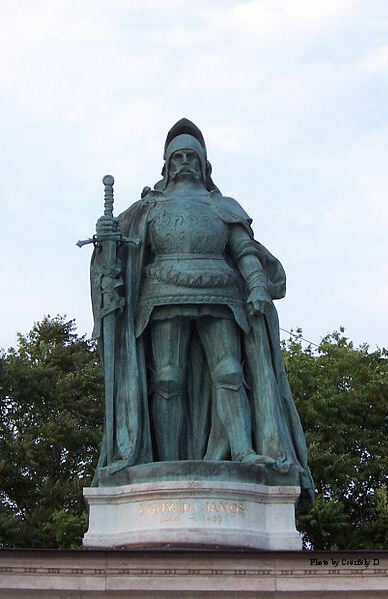 John Hunyadi, a Hungarian nobleman and warlord, who had fought many battles against the Ottomans in the previous two decades, prepared the defense of the fortress. The siege eventually escalated into a major battle, during which Hunyadi led a sudden counterattack that overran the Ottoman camp, ultimately compelling the wounded Sultan Mehmed II to lift the siege and retreat. The battle had significant consequences, as it stabilized the southern frontiers of the Kingdom of Hungary for more than half a century and thus considerably delayed the expansion of the Ottoman Empire. The Pope celebrated the victory as well, and he previously ordered all Catholic kingdoms to pray for the victory of the defenders of Belgrade. This led to the noon bell ritual that is still undertaken in Catholic churches to this day. Since 2011, the date 22nd of July, when Christian forces led by John Hunyadi defeated the Ottoman Turks besieging Belgrade in 1456, is a national memorial day in Hungary. At the end of 1455, after a public reconciliation with all his enemies, Hunyadi began preparations. At his own expense, he provisioned and armed the fortress. Leaving in it a strong garrison under the command of his brother-in-law Mihály Szilágyi and his own eldest son László. Hunyadi then proceeded to form a relief army and an additional fleet of two hundred corvettes. The barons fearing Hunyadi’s growing power more than the Ottoman threat, leaving Hunyadi entirely to his own resources. A Franciscan friar allied with Hunyadi, Giovanni da Capistrano, preached a crusade to attract peasants and yeomanry to Hunyadi’s cause. The recruits were ill-armed (many with only slings and scythes) but full of enthusiasm. The recruits flocked to the standard of Hunyadi, the core of which consisted of a small band of seasoned mercenaries and a few banderia of noble horsemen. All in all, Hunyadi managed to build a force of 25–30,000 men. 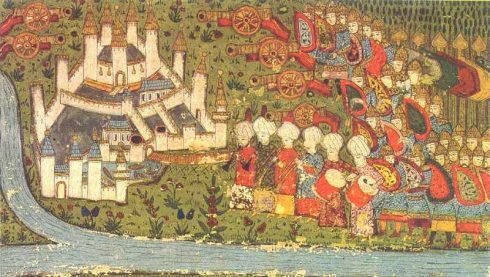 However, before these forces could be assembled, Mehmed II’s invasion army (160,000 men in early accounts, 60-70,000 according to newer research) arrived at Belgrade. On July 4, 1456, the siege began. 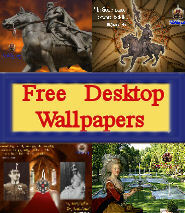 Szilágyi could rely on a force of only 5,000-7,000 men in the castle. Mehmed set up his siege on the neck of the headland and started firing on the walls on June 29. He arrayed his men in three sections. The Rumelian (that is, European) corps had the majority of his 300 cannons, and his fleet of 200 or so river vessels had the rest. 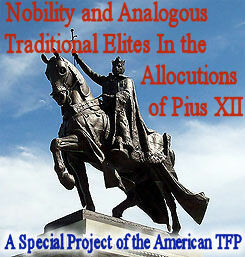 The Rumelians were arrayed on the right wing and the Anatolian corps was arrayed on the left. In the middle were the sultan’s personal guards, the janissaries, and his command post. The Anatolian corps and the janissaries were both heavy infantry troops. Mehmed posted his river vessels mainly to the northwest of the city to patrol the marshes and ensure that the fortress was not reinforced. They also kept an eye on the Sava to the southwest to avoid the infantry’s being outflanked by Hunyadi’s army. The Danube to the east was guarded by the spahi, the sultan’s light cavalry corps, to avoid being outflanked on the right. 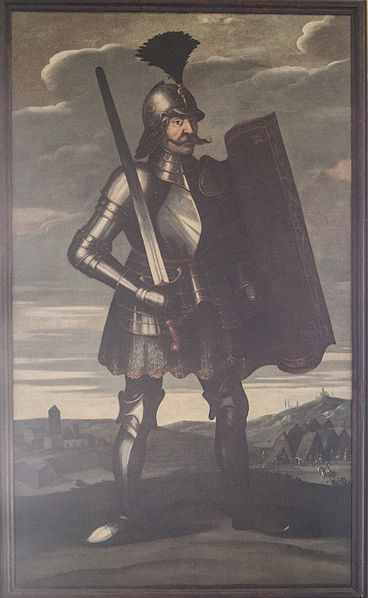 When word of this reached Hunyadi, he was in the south of Hungary recruiting additional light cavalry troops for the army with which he intended to lift the siege. 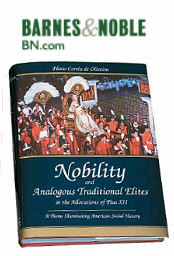 Although relatively few of his fellow nobles had were willing to provide manpower, the peasants were more than willing to do so. Cardinal Giovanni Capistrano had been sent to Hungary by the Vatican both to preach against heretics, such as Greek Orthodox Christians, and to preach the Crusade against the Ottomans. Capistrano managed to raise a large, albeit poorly trained and equipped, peasant army, with which he left for Belgrade. Capistrano and Hunyadi traveled together, but commanded separately. Between the two of them, they had roughly 40,000-50,000 men. The outnumbered defenders relied mainly on the strength of the formidable castle of Belgrade which was at the time one of the best engineered in the Balkans. As Belgrade was designated to be the capital of the Serbian Despotate by Despot Stefan Lazarević. Ottoman raids were expected after they recovered from the heavy loss against the Mongols. Utilising advanced building techniques from Byzantine and Arab fortress designs from the period of Seljuk and Ottoman military conflicts of the mid-11th century. The castle was designed in an elaborate form with three lines of defense: the inner castle with the palace and huge Donjon, the upper town with the main military camps with four gates and a double wall. as well as the lower town with the cathedral in the urban center and a port at the Danube. This building endeavor was one of the most elaborate military architecture achievements of the Middle Ages. After the Siege, the Hungarians reinforced the north and eastern side with an additional gate and several towers, one of which, the Nebojsa tower, was designed for artillery purposes. On July 14, 1456, Hunyadi arrived to the completely encircled city with his flotilla on the Danube while the Ottoman navy lay astride the Danube River. He broke the naval blockade on July 14, sinking three large Ottoman galleys and capturing four large vessels and 20 smaller ones. By destroying the Sultan’s fleet, Hunyadi was able to transport his troops and much-needed food into the city. The fort’s defense was also reinforced. But Mehmed II was not willing to end the siege and after a week of heavy artillery bombardment, the walls of the fortress were breached in several places. On July 21 Mehmed II ordered an all-out assault which began at sundown and continued all night. The besieging army flooded the city, and then started its assault on the fort. As this was the most crucial moment of the siege, Hunyadi ordered the defenders to throw tarred wood, and other flammable material, and then set it afire. Soon a wall of flames separated the Janissaries fighting in the city from their comrades trying to breach through the gaps into the upper town. 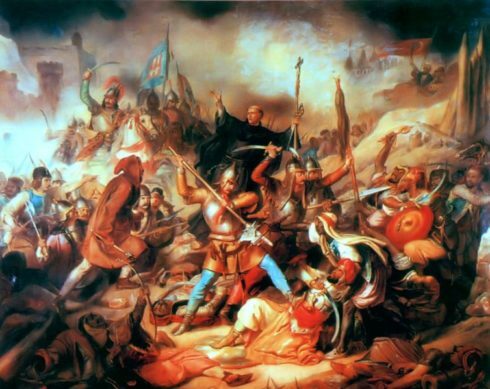 The fierce battle between the encircled Janissaries and Szilágyi’s soldiers inside the upper town was turning in favour of the Christians and the Hungarians managed to beat off the fierce assault from outside the walls. The Janissaries remaining inside the city were thus massacred while the Ottoman troops trying to breach the upper town suffered heavy losses. 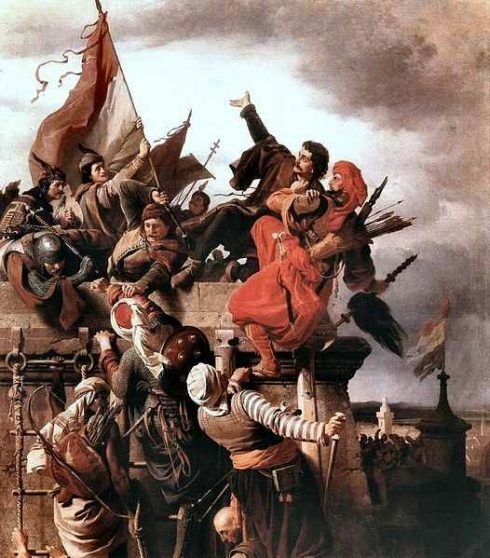 When an Ottoman soldier almost managed to plant the Sultan’s flag on top of a bastion, a Hungarian knight named Titus Dugović (Dugovics Titusz in Hungarian) grabbed him and together they plunged from the wall. However, according to historians the name “Titus Dugović” is fictitious because it derives from falsified records. The next day something unexpected happened. By some accounts, the peasant crusaders started a spontaneous action, and forced Capistrano and Hunyadi to make use of the situation. Despite Hunyadi’s orders to the defenders not to try to loot the Ottoman positions, some of the units crept out from demolished ramparts, took up positions across from the Ottoman line, and began harassing enemy soldiers. Ottoman spahis (provincial cavalry) tried without success to disperse the harassing force. At once, more Christians joined those outside the wall. What began as an isolated incident quickly escalated into a full-scale battle. 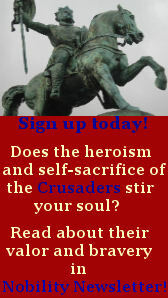 Capistrano led his crusaders to the Ottoman rear across the Sava river. At the same time, Hunyadi started a desperate charge out of the fort to take the cannon positions in the Ottoman camp. Part of Belgrade Fortress from the 17th century. Taken by surprise at this strange turn of events and, some chroniclers say, paralyzed by some inexplicable fear, the Ottomans took flight. The Sultan’s bodyguard of about 5,000 Janissaries tried desperately to stop the panic and recapture the camp, but by that time Hunyadi’s army had also joined the unplanned battle, and the Ottoman efforts became hopeless. The Sultan himself advanced into the fight and killed a knight in single combat, but then took an arrow in the thigh and was rendered unconscious. After the battle, the Hungarian raiders were ordered to spend the night behind the walls of the fortress and to be on the alert for a possible renewal of the battle, but the Ottoman counterattack never came. However, the Hungarians payed dearly for this victory. Plague broke out in the camp, from which John Hunyadi himself died three weeks later (August 11, 1456). He was buried in the Cathedral of Gyulafehérvár (now Alba Iulia), the capital of Transylvania. As the design of the fortress had proved its merits during the siege, some additional reinforcements were made by the Hungarians. 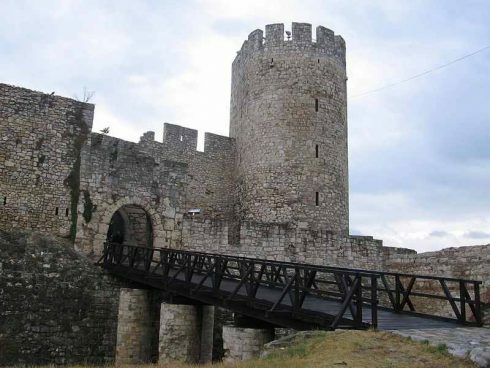 The weaker eastern walls, where the Ottomans broke through into the upper town were reinforced by the Zindan gate and the Heavy Nebojsa tower. This was the last of the great modifications to the fortress until 1521 when Sultan Süleyman eventually captured it. 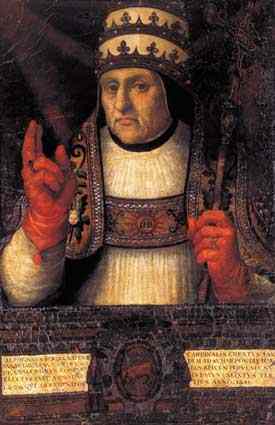 Pope Callixtus III ordered the bells of every European church to be rung every day at noon, as a call for believers to pray for the defenders of the city. The practice of the noon bell is traditionally attributed to the international commemoration of the victory at Belgrade and to the order of Pope Callixtus III, since in many countries (like England and the Spanish Kingdoms) news of the victory arrived before the order, and the ringing of the church bells at noon was thus transformed into a commemoration of the victory. The Pope didn’t withdraw the order, and Catholic churches still ring the noon bell to this day. In the history of Oxford University, the victory was welcomed with a peals of bells and great celebrations in England too. Hunyadi sent a special courier (among others), Erasmus Fullar, to Oxford with the news of the victory. 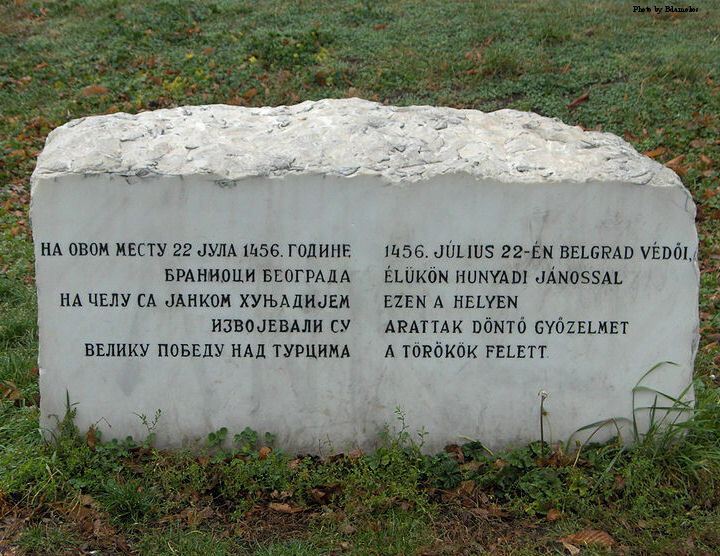 Stone in the Kalemegdan park, in Belgrade, with engraved inscription on the place where Catholic forces under command of Yanosh Huniady won the battle against the Turks in the year 1456. The victory stopped the Ottoman advance towards Catholic Europe for 70 years, though they made other incursions such as the taking of Otranto in 1480–1481 and the raid of Croatia and Styria in 1493. Belgrade would continue to protect Hungary from Ottoman attacks until the fort fell to the Ottomans in 1521. After the Siege of Belgrade stopped the advance of Mehmed II towards Central Europe, Serbia and Bosnia were absorbed into the Empire. Wallachia, the Tartar Khanate of Crimea, and eventually Moldavia were merely converted into vassal states thanks to strong military resistance to Mehmed’s attempts at conquest. There were several reasons why the sultan did not directly attack Hungary and why he gave up the idea of advancing in that direction after his unsuccessful siege of Belgrade. The mishap at Belgrade indicated that the Empire could not expand further until Serbia and Bosnia were transformed into a secure base of operations. Furthermore, the significant political and military power of Hungary under Matthias Corvinus no doubt had something to do with this hesitation. Mehmed was also distracted by resistance from two semi-independent vassals to the north of the Danube, over whom he was attempting to exercise greater authority. While Hunyadi’s victory at Belgrade and the lasting legacy of his political decisions (Vlad III the Impaler and Stephen III both came to power under Hunyadi, and he went to great lengths to have his son Matthias placed on the throne) rendered the daunting Mehmed II far less of a threat to Christendom, his ultimate dream of a Christian reconquest of Constantinople would never be realized. Hunyadi had chosen to stay out of the Siege of Constantinople because he was militarily unprepared to fight Mehmed’s mighty army at the time, and instead opted to protect Hungary and fortify the Balkans. Matthias did not share the concept of a great war against the Ottomans and was too embroiled in political disputes with the Holy Roman Empire to his West to be the aggressive warrior his father was, so his role was limited mostly to defending his own territory and letting the Balkan leaders bear the brunt of the struggle against the Ottoman Empire. 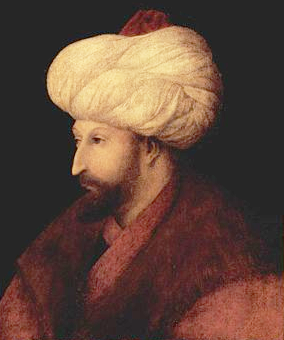 While fierce resistance and Hunyadi’s effective leadership ensured that the daring and ambitious Mehmed the Conqueror would only get as far into Europe as the Balkans, the sultan had already managed to transform the Ottoman Empire into what would be one of the most feared powers in Europe (as well as Asia) for centuries. Most of Hungary was eventually conquered in 1526 at the Battle of Mohács. Ottoman expansion into Europe continued with menacing success until the Siege of Vienna in 1529, and Ottoman power in Europe remained strong and still threatening to Central Europe at times until the Battle of Vienna in 1683. 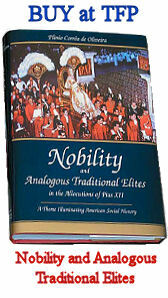 Previous post: What Weight Should Be Given to St. Thomas Aquinas’s Arguments Against Equality?